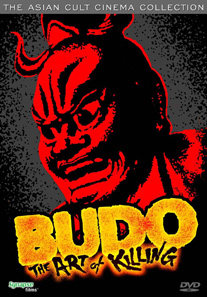 Filmed entirely in Japan, BUDO:THE ART OF KILLING is a highly acclaimed docu-drama and a favorite of martial arts practitioners and fans alike. Highlighting the various techniques of “Budo” (Karate, Judo, Aikido, etc. ), this action-packed film is a visual feast exploring the spiritual and historical traditions, training and techniques of this specialized form of martial arts.